The group were met at Munich airport, very professional coach transfer to Passau; cute town on the Danube at the convergence of 3 rivers. Very good meet and transfer; re-assures nervous travellers! Cases taken straight onto ship, and then to our stateroom. Champagne on arrival. Great first impression of standards of service, and positive attitude from mostly Eastern European crew. Met by the Captain, Hotel Director and Cruise Director. Very comfortably kitted out; with French balcony. Also slippers, dressing gowns, umbrellas and water. Plus TV infotainment with more channels than normal, and the unusual offer of FREE Internet; quite a contrast to those expensive ocean cruise shocks on the bill! Each room has a re-chargeable headset to enable passengers to hear their guide clearly. Very clean, and with an excellent multi-headed shower. Suites with a full bath are available on board. Main lounge; spacious with a piano, and dance floor. Used for lunch/day time snacks as an alternative to the lovely restaurant. Second lounge at the back for quiet moments, a small gym (and I mean small! ), but also with a sauna as well. Top deck for relaxing and sightseeing, with a Jacuzzi. There is a massage and beauty salon. Delightful, with high quality breakfasts/lunches/dinners. Great attention to detail, and dinner includes free wine. Always local, and you might think that would mean average quality, but I was struck by how many very positive comments about the wine quality came from people who loved wine. And generous toppings up, as well. Beautiful food, highly attentive service; and soups seem to be a highlight for many passengers. Champagne breakfasts, great eye for detail in food preparation and presentation. One night of quiz! One night of a very high quality German singer; multi-talented and at least tri-lingual. I regret being drawn into dancing with her on-stage! We did two. Nuremberg and Regensburg. Utterly excellent. Both tour guides were amongst the best I have experienced. Very big challenge to them ; tours were both historical and a Jewish Heritage theme ; interestingly, the Jewish Heritage tours were far and away the busiest, as they encompassed traditional history with events that so strongly shape Bavaria. Tours are divided into Gentle Walkers and Active Walkers groups, as well as a Late Starters group for people who like to lie in!! 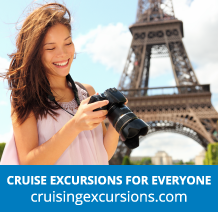 AND, on top of the quality of tours, ALL TOURS ARE INCLUDED IN THE COST OF THE CRUISE. Two new ships, including AmaCerto-dramatically & innovatingly changes the offer and goes even further upmarket. Choice of four places to eat, including an Al Fresco bistro and Erlbenis Chefs Table restaurant, as well as the existing high quality Main restaurant. Mostly American. Cruise Director (Norwegian) worked very hard to involve everyone. I believe most UK passengers would really enjoy this cruise. Interestingly, I heard a few comments along the lines of the passenger age gets younger each year. I was surprised to see a four year old on board! Mostly in the fifties, sixties and seventies. 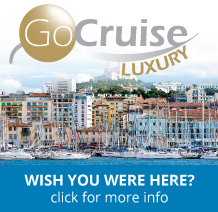 A Premium River Cruise line, that delivers an excellent standard of ship, service and experience.